From the Back Cover&colon; Samuel Johnson and Samuel Richardson condemned it. James Boswell and Goethe proclaimed it a masterpiece. And from the beginning Sterne realized he had written a book that would not suit everyone's taste. For more than two centuries. Tristram Shandy (1759-67) has astounded - and by turns confounded, captivated, angered, and amused but ever entertained - readers worldwide. While on the surface a comic, disjointed account of the title character's life and times, the work is in fact a brilliant commentary on life's inherent chaos, the pointed challenge of British clergy-man-turned-author Laurence Sterne to the twin concepts of rationalism and sentimentalism. Delineating his views through skillfully drawn representations - among them Tristram, Yorick, and Uncle Toby - Sterne pinpointed issues central to not only his era but our own. 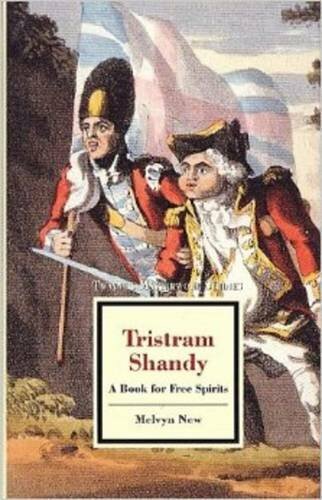 Filled with thought-provoking ideas and marked by an open, conversational writing style, Tristram Shandy: A Book for Free Spirits is an adroit guide to understanding the aims and achievements of Sterne's masterpiece and to fully appreciating its lessons for contemporary times.